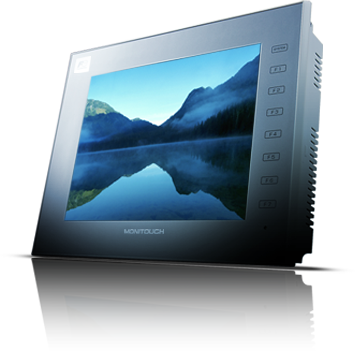 Providing you the best range of technoshot hmi, hmi touch screen and touch screen hmi with effective & timely delivery. Data in a TS panel can be monitored and controlled from a remote office at low cost. This software enables collection and management of product ion site information via the Internet in real time from your office in Japan or overseas. Communication is available with up to eight kinds of devices consisting of PLCS and peripherals of different manufacturers through Ethernet or serial connection. TECHNOSHOT allows you to write/read PLC ladder programs to/from your PC through Ethernet or USB connection. You can change the language displayed on the screen to one of 16 languages. You need not manage files for each language. Compatible language fonts:Japanese, English/ Western European, Chinese (traditional and simplified), Korean, Central European, Cyrillic, Greek, Turkish and Baltic. 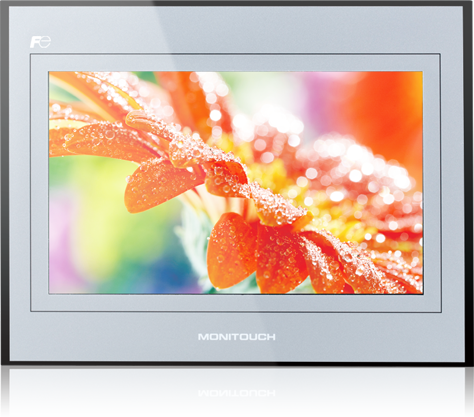 Keeping in mind the diverse requirements of clients, we are offering a premium quality range of Touch Screen HMI. The offered HMI is manufactured by making use of supreme quality components and cutting-edge technology under the guidance of adept engineers who have years of experience in the domain. Prior to dispatch the delivery from our end, our quality inspectors duly check this HMI on numerous measures of quality to eliminate any kind of flaw. With the installed Compact Flash card, USB port and web FTP upload connectivity, data acquisition and transfer capabilities are endless with the G3 Series. Data can be acquired from any or all connected devices and compiled into a single CSV-formatted file, where it can be stored, displayed, emailed, uploaded to an FTP or posted to custom web pages. The built-in web server can be used to expose system data via a standard web browser, allowing remote access to diagnostic information or to the values recorded by the data logger. The ability to monitor only or securely facilitate full control from your remote computer or web enabled mobile phones and devices is standard. Standard web browsers provide remote virtual display and control with screens identical to those on the G3. GSM cellular modem option card tells the G3 dial out with text message or email alerts / alarms to staff facilitating remote connectivity virtually anywhere. Use pass through programming for connected devices that don't typically allow remote programming. Red Lion Crimson software gives users unprecedented operator interface configuration and control. The Crimson 3.0 software is a remarkable programming platform that gives the G3 Series a number of exclusive functions. And unlike competitive HMIs that charge you extra for cumbersome proprietary software, with Crimson the set up of even sophisticated applications – configuring communications protocols, defining data tags and creating a user interface – is easier and virtually self-explanatory. Full-featured C-type syntax programming environment to extend capabilities and use advanced math, local variables, pass parameters, calls, return values etc. Flexible, direct access to many internal G3 Series features such as read/write to the Compact Flash card, manage serial ports, created TCP / IP connections to extract data from web sites, or create custom interfaces to unique products. Best of all, Crimson is included. As are software updates, support, cabling instructions and communication drivers. In fact, if a specific device driver does not exist, Red Lion will write one for you. Free online updates allow you to keep your version of Crimson current with the most up-to-date features. New updates include enhanced functionality, product support, drivers and firmware. 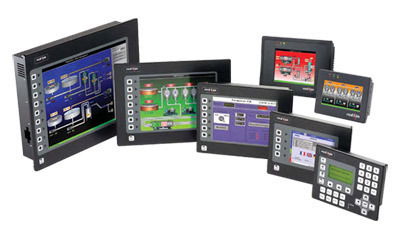 Looking for “Touch Screen HMI”?